for sale:subject property is a approx. 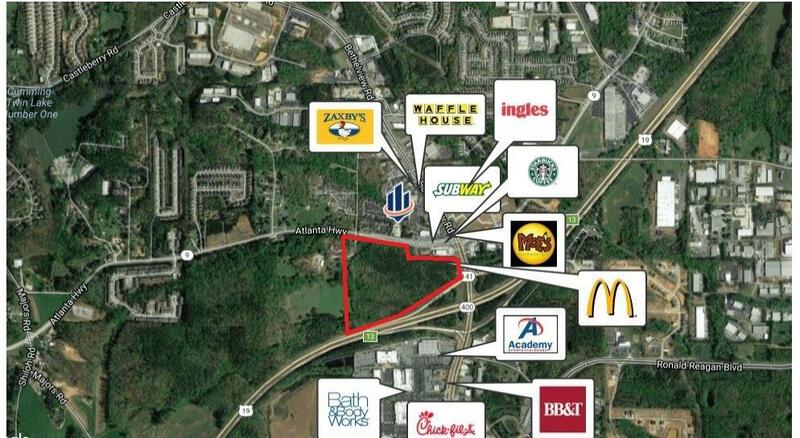 34.74 acre vacant wooded commercially zoned parcel located in the NW quadrant of the interchange of Georgia Highway 400 and State Route (SR) 141, aka Peachtree Parkway/Bethelview Road. Ideal for Commercial Big box retailer.